And besides this, we will also share with you some tips and suggestions on how to rank higher on YouTube! #1: Make a stunning video to advertise! We will talk about Adwords for videos later, but first you need to know the most important thing: your video ad must be awesome. That´s the key. It doesn´t matter if you spend a big fat budget on ads, if your video content is not great it won´t provide you with great results. It should be customized, high quality, attractive, convincing and fun. Because viewers are invaded by ads all the time, you have to make sure yours is different and good enough to make a mark. Check out what we did for Tortilla Land, an animated video which was so successful that the client let us do a testimonial video about the creation of that commercial. At Yum Yum Videos we have also done a lot of explainer videos, another marketing tool you can use for promotion with different benefits and purposes. 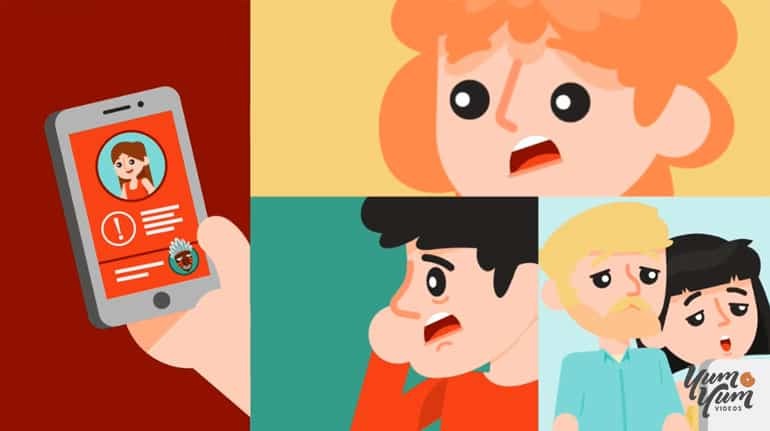 See for yourself with our own explainer video! The specific YouTube ad formats are known as TrueView and their most remarkable feature is that advertisers only pay when viewers watch or interact with elements of their video. It can be either an In-stream ad or a Video Discovery ad. We will talk about them right away, but first go ahead and create your own YouTube channel, if you don´t have one, and then upload your video to your account. In-stream ads usually appear before playing a YouTube video, just like TV commercials. They can be skipped after the first 5 seconds and the advertiser will only be paying when someone watches the entire video or at least 30 seconds, and when someone interacts with it, whatever comes first. This means that if a viewer clicks on any Calls-To-Action (CTA) on your video ad, such as overlay text with a link to your website, you will get charged. Another CTA option is with YouTube cards, a good resource to invite viewers to take action on your brand. There´s a whole bunch of tactics to rank higher on YouTube, take a look! On the other hand, Video Discovery ads appear next to the viewer´s recommended videos or when a viewer searches for a specific keyword. It shows up with a thumbnail pic and a text. Use an attractive image and a simple-inviting text to drive more viewers to click on your video. As we explained, you will only get charged when someone clicks on it. Besides the two TrueView ad subtypes, there´s another format known as Bumper Ads that also show up before a YouTube video plays. They are shorter than In-stream ads –up to 6 seconds- and they are non-skippable. The big difference is the payment system, since you get charged every time the video is shown 1000 times, using the CPM bidding (Cost-per-thousand impressions). Of course, you can also promote your videos for free on YouTube with educational videos! They are helpful and may attract viewers by offering guidance on how to solve certain problems, and meanwhile. your brand is being positioned as a reference. At Yum Yum Videos we did our own educative video about the best animated video styles for business, and without spending any money on ads we received more than 150,000 views! You can learn more on “How to rank #1 on YouTube” with our free eBook. #3: What is Google Adwords? Google Adwords is the platform to advertise online on every Google subsidiary, like YouTube. Once your ad is online on your YouTube channel, you can proceed and register on Adwords, if you haven´t. Both accounts must be linked together. But don´t worry, once you login click on “Linked YouTube Accounts” from the homepage menu. Ready to go! You registered, you uploaded your video, it´s time to start setting up your ad. After signing into Adwords, click the red “+ CAMPAIGN” sign and a menu will drop down where you can select the video option. Choose a name for the Campaign and then select the TrueView format. The type of video ad of your choice should be based on your marketing goals, so think deeply about your plan before proceeding! Enter a daily budget. You can think about how much you can afford monthly and divide it by 30 to calculate a daily sum. Our recommendation is to start with a small budget and increase it later when you´re more familiar with Adwords. Afterwards, select your delivery method: standard if you want your ad to show evenly during the day or accelerated if you want it to run as quickly as possible. If you want your video content to appear in a search result when someone looks up certain keywords, select “YouTube Search”. But if you prefer your video to show up before or after YouTube videos, go with the “YouTube Videos” option. As you know, YouTube is a video streaming platform with over 88 local sites in different countries and in more than 70 available languages. So go ahead and set the precise locations and languages of your audience. We explained a few lines ago that every video must be uploaded to your YouTube channel so you can promote it. Well, now Google Adwords will ask you to enter the video URL, just copy and paste the link of your ad. Also, you can set up the advanced mobile options. It will offer you to increase or decrease the appearance of your ad on mobile devices. Take into account that these days, 70% of YouTube videos show up on mobile, so offering mobile-friendly video content is a must! In Advanced settings you can specify when to start your Campaign and when you want to end it. Moreover, you can define the precise times of the day you want your ad to be shown. For example, if you want to shut it down over midnight and resume it in the morning. That´s up to you and your marketing plan! Here you can offer a maximum Cost-per-view or CPV, which is the max amount you´re willing to pay for someone who watches your ad. For more info on bidding, here´s a detailed article about it. Our suggestion is to start with a low price, see how it works, and upgrade it when you feel ready. There are interesting analytics tools to measure views and impact so you can decide this based on the numbers. So knowing your audience is one of the most important sides of your marketing campaign. It will allow you to make the right decisions, save money and close more deals. And Adwords can be helpful at this point by offering a broad range of targeting methods. You can start with the basic ones like demographic groups, defining age, gender, income, etc. Besides, you can target by topics and interests, not only based on YouTube searches but also based on users´ searches on other Google partner sites. You can also define keywords and show your ad based on certain words linked to other YouTube videos. Another interesting method is by placement, which means you can target subscribers from other YouTube channels or other popular websites. #12: Save the settings and go! After finishing the targeting process, you´re ready to click on “Save ad and ad group” and finish your Campaign settings. Your ad will start running now! It´s time to think about how to make the most out of your video content besides advertising, and a good idea is to promote it on other social media networks so you can expand the audience and improve visibility. So far you´ve learned how to promote a video on YouTube following 12 simple steps, from creating an interesting and attractive commercial to targeting an audience, and much more! Sounds easier now, right? 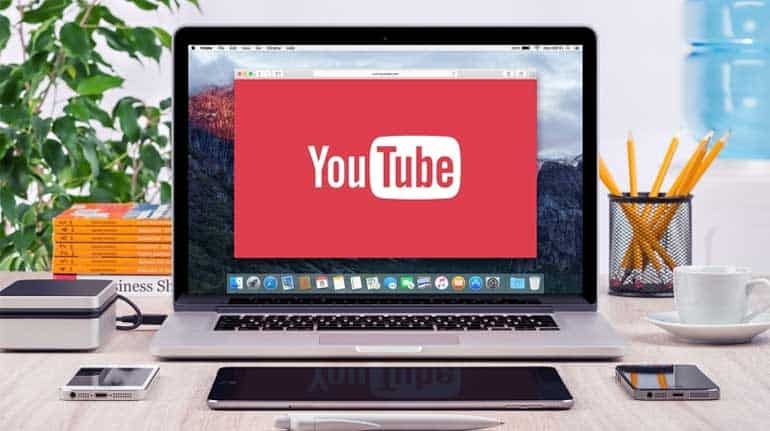 If you weren´t entirely sure about YouTube ads and how they work, after reading this article you should be more than convinced about promoting your content on one of the most visited websites worldwide! The advantages are clear, it´s low cost, there are multiple formats and Calls-to-Action, and you can use several targeting tools, among others. But make sure you start with an amazing video to show to your audience. If not, all the settings you´ve learned and the money you spent won´t give you good results. Get in touch with us and we can assist you with your commercial, we´re just a click away!